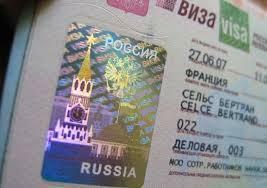 This type of visa is issued only for students, who come to Russia for study programs or enrolling on a course to a Russian university / school. This is the best kind of visa in terms of flexibility, but you can only get it if you applied to a Russian university, school or an institution and will study there. Studying in a university: If you are thinking about doing an exchange with one of the Russian universities (also known as "visiting scholars" or "stazhirovka" in Russian), you will need to submit your data to the university and the "foreign department" of the university will take care of all the formalities. They will submit all your data to the immigration officials and have your student invitation ready in about 2 to 6 weeks (may take longer at MGU - Moscow State University). After that, the "foreign department" of the university where you will be studying will either send you the invitation by post, by fax, or send the invitation by telex directly to the consulate where you will apply for your visa and you'll just need to know the telex number when you apply. Usually, the student visa doesn't have a limited validity, it is extended all the time, depending on how long you study.